Sire Contendro I is definitely one of the best Contender sons in breeding. 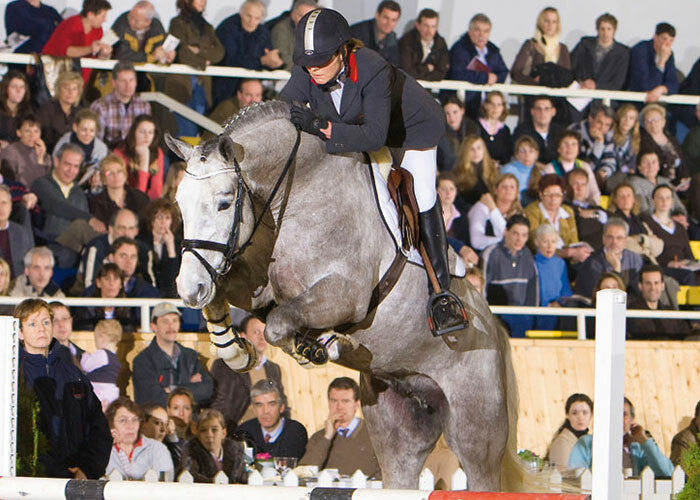 His offspring has chalked up almost a million Euro with more than 945,000 Euro in competition winnings, numerous Contendro progeny are successful in 1.50 m classes, also internationally. Granddam Gipsy produced Vice Bundeschampion Codex One (closely related to Contendros), who has been successful up to three star advanced (S) level classes under Christian Ahlmann, including a first place in an international show jumping competition at Nörten-Hardenberg where he placed second in the Grand Prix, just like he did in the Grand Prix of Paris. 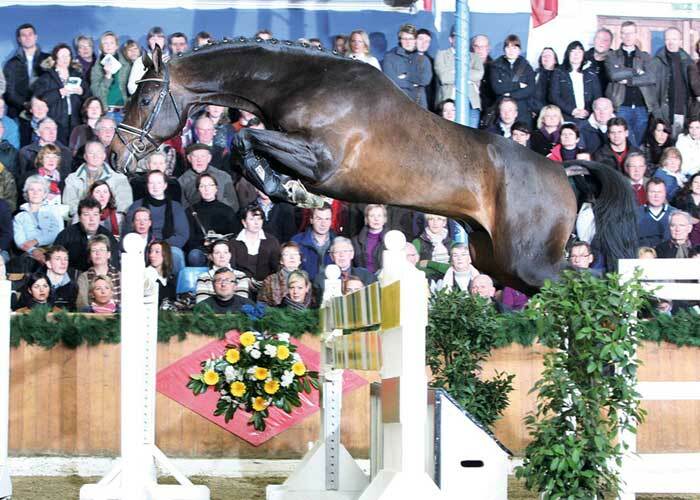 The progeny of dam’s sire Drosselklang II have earned more than a million Euro, especially in show jumping – Drossel Dan was successful in the World Cup class and placed among the best five with Alvaro Affonso de Miranda Neto in the Grand Prix of Hamburg in 2011. 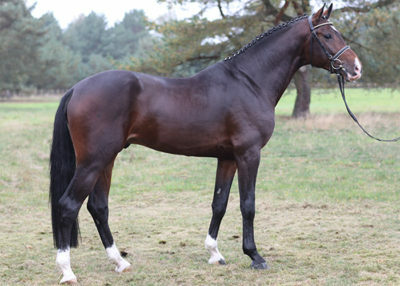 Glückspilz, in third generation, features the strong performance genes of the legendary jumper sire Gotthard. 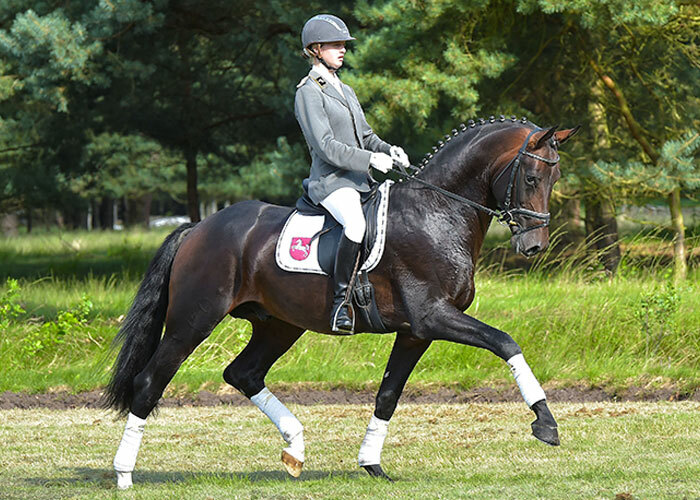 This is the Hanoverian dam line of Neapende that has produced famous athletics such as Beaurivage/Debbie McDonald or the advanced class show jumper World Dream.